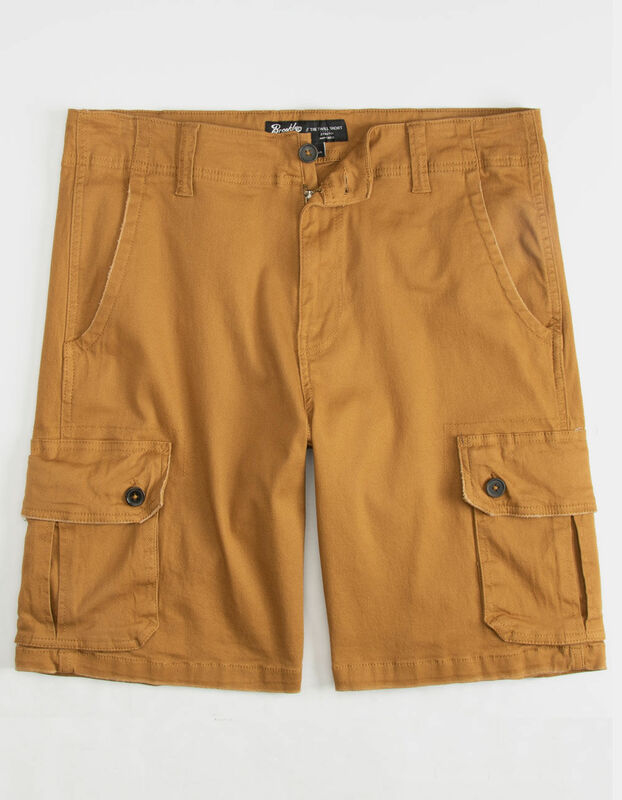 Brooklyn Cloth cargo shorts. 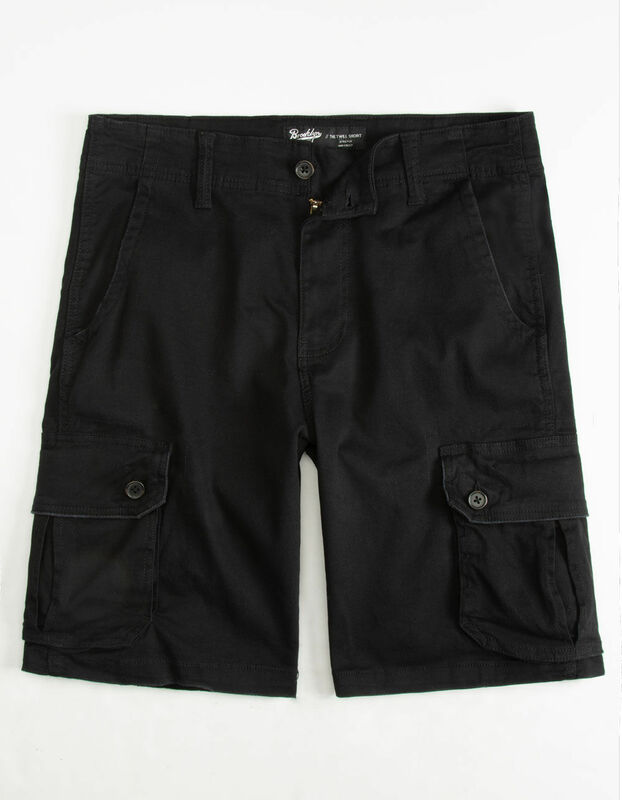 Solid twill shorts features button waist with zip fly. 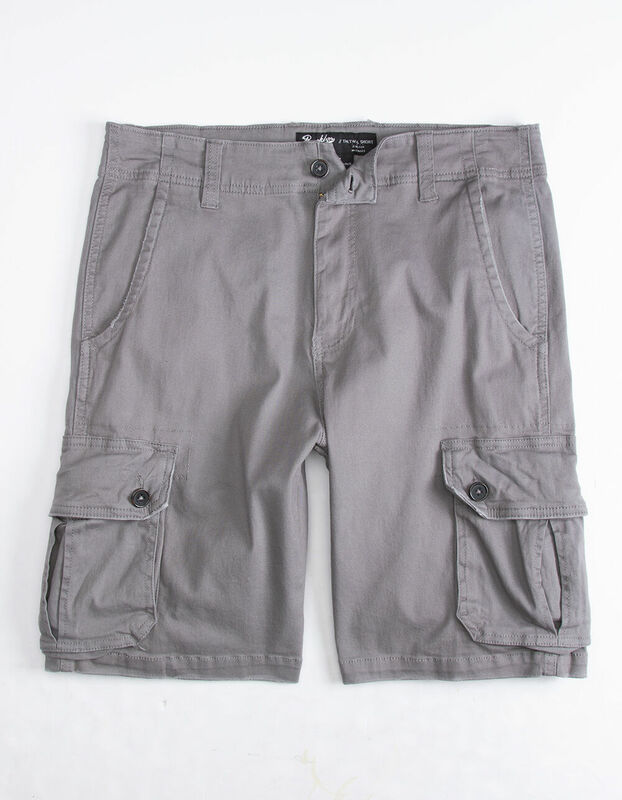 Slant front pockets, back buttoned patch pockets, and dual cargo pockets. Approx. 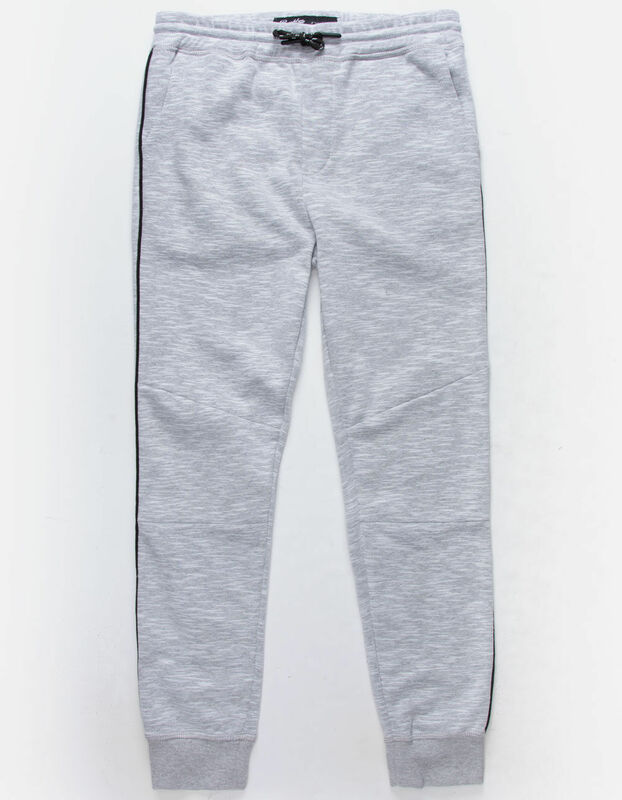 outseam: 20.5". Approx. 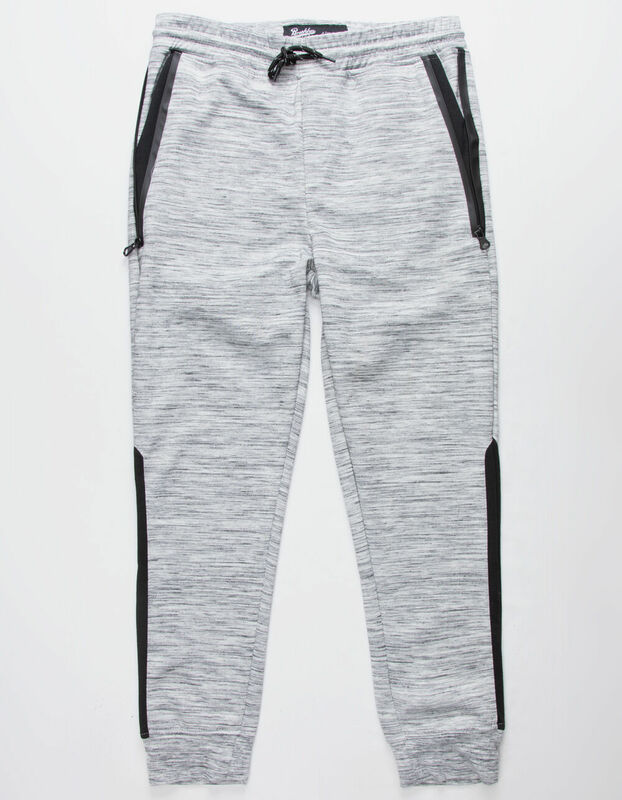 inseam: 10". 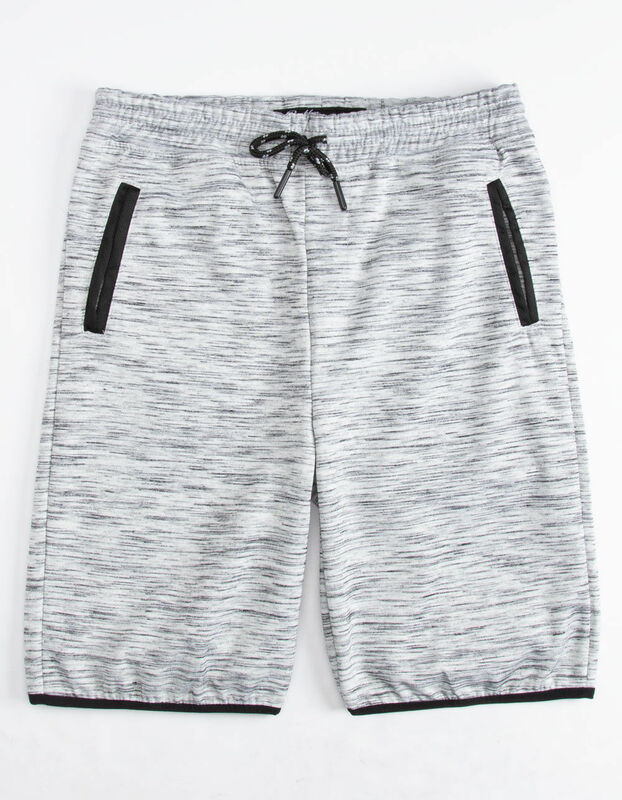 98% cotton/2% spandex. Machine wash. Imported.